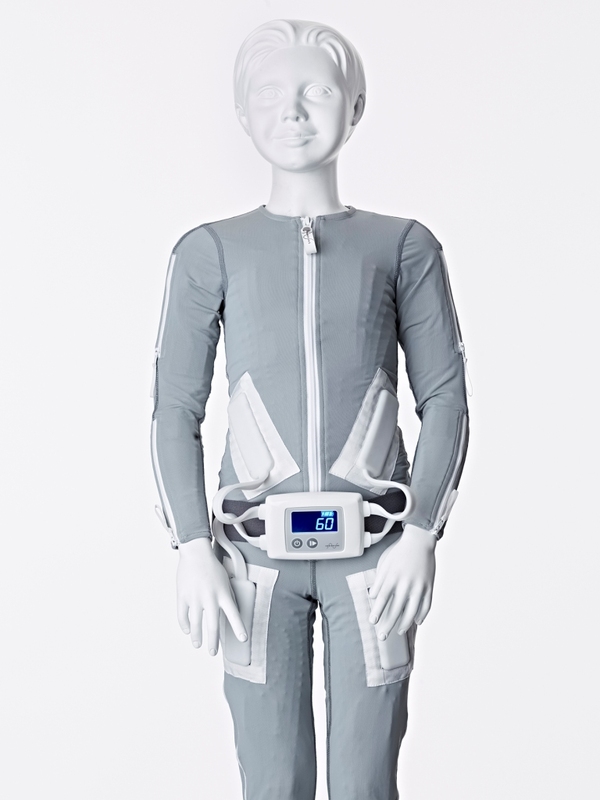 A 2-piece soft, stretchy body-suit with 58 flexible, sewn-in electrodes plus a small, battery powered control unit provide individualised electro-stimulation. Each pair of electrodes can be selected for use during initial programming by the therapist. The Suit is available in 24 sizes for a good fit, from small children around 3 years old to XXXL adults around 115kg/18 stones. Made from swimsuit-like material, it is easy to machine or hand wash and to put on and take off regularly. Product sheet, FAQ and User Manual.